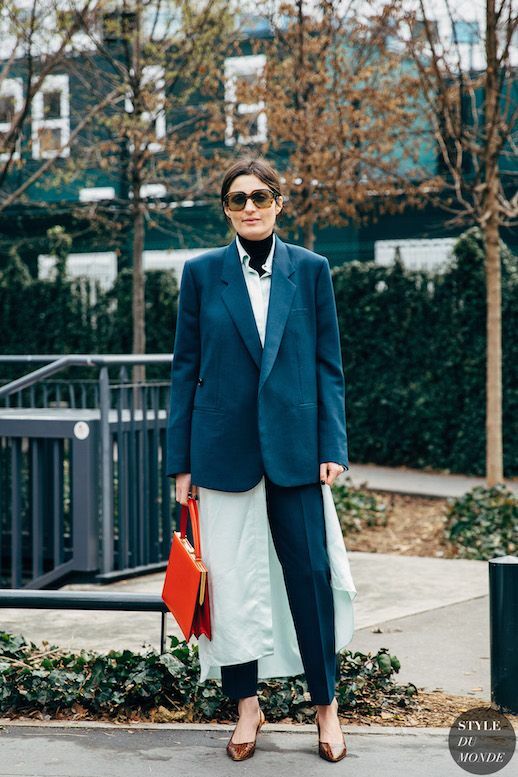 Bored of your standard office-appropriate outfits? Why not mix things up with an oversized shirtdress layered in for a fashion-forward yet distinctly professional ensemble? For styling, be sure to keep the bottom half of the shirtdress unbuttoned and the hemline hovering just a few inches above your trousers. Add a ladylike heel and bag to balance it all out.